Most people who are unfamiliar with weather instruments will ask what does an anemometer look like? They do not know that many meteorological stations today are equipped with an anemometer–a device that measures information about currents of air-so on your station’s display you have access to the current wind speed. You will find that your day will simply work out better if you leave your home, with the knowledge of whether or not it will be a breezy or calm day. As an owner of your own personal weather station, you can get this information readily and easily from your very own personal weather station. 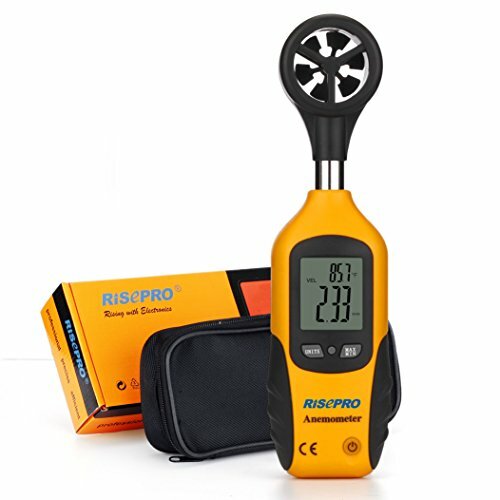 Anemometers are so basic as a piece of weather equipment you would have, that they are considered to be a basic required weather piece for setting up any kids weather station. In fact we have a great read on setting up a weather station for kids at the page, Instruments to Build a Weather Station for kids. Well let’s look at an anemometer. Here are a few anemometer pictures for you. In looking at the modern wind speed instruments of today, they look like this. Many of the personal weather stations for sale today have in home display systems that show all types of readings that are provided by the wind sensors on your weather station. These personal station displays today, will also provide you with such other interesting tidbits as wind gusts speed, the maximum current air speed in the last half an hour, and also the speed of the breezes recorded at your location in the last 12-24 hours. You can access also the current forecast, which will tell you if there may be winds involved in your forecast. In taking a daily look at your elements that you are living with, you always will be dealing with the currents of air. It is either a breezy day, or maybe not a breezy day. We all know that if it is very windy, our days, defined by our moving about from place to place can become an adventure. In very strong winds you are dealing with many different situations than you would be if it was perfectly calm outside. If you are walking from location A to location B, then you will be facing several things. The first thing-is the breezes will blow your hair out of place. Second-your body temperature and your comfort zone will most likely be affected with the wind on you. If it’s a cooler day, the air currents will dry you out and take away the protection of warmth you had near your skin. Or it (the wind) could be simply causing condensation (on a hot day), which tends to lower your skin surface temperature. So when it is very cold outside the wind can be a bad thing (wind chill index) or in the summer it could be looked on favorably. Anemometers were developed as far back in history as the mid Nineteenth century. In fact in 1845, Dr. John Thomas Romney Robinson, the director of the Armagh Observatory, Northern Ireland, developed the first anemometer, a 4 cup anemometer. He was director there for 59 years. He invented the first cup anemometer, which consisted of four hemispherical shaped cups, each mounted on one end of four horizontal arms. These horizontal arms are then connected to a vertical shaft. As they spin around because of the air blowing, they are measured by how many revolutions per a given time period. From this then you are able to calculate the breeze’s speed by counting the number of turns of the shaft in a manner that was proportional to the currents of air speed. This is measure over a set period of time and various ranges of current air speed are calculated in this manner. The original wind cup anemometer had four cups in place, whereas most anemometers today are the improved three cup model, developed by a Canadian, John Patterson, in 1926. This is the design, that has been improved further by various scientists over the years. 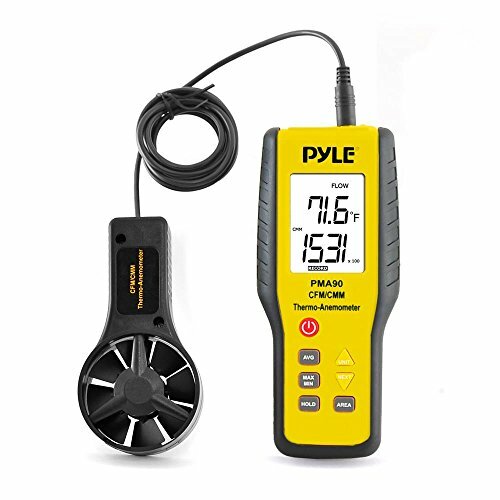 This is a simple form of air currents measurement and by far the most common wind measurement instrument on today’s weather stations. Other forms of anemometers are the Vane, Hot-wire, Laser Doppler, Sonic, and even something called the Ping Pong anemometer. These have been some of the more recent developments in air current speed instruments-that are available today. In fact the Ping Pong Anemometer, was used by NASA on a recent(2008) Phoenix Mars Lander flight, as an air speed measuring tool. As we mentioned earlier almost all of them use a three cup anemometer, to gather and record the wind speeds from your remote sensor unit. In keeping with station directions, and good common sense practices, it is best to set up your sensors in a remote place, but not a location too low to the ground. You should also make sure it is out in the open where there are as few distractions or obstacles as possible that would, prevent a reasonable air currents speed calculation. If you have done this, then the wind speed your display is showing will be very accurate. These readings should be accurate enough, for you to use for your studies of your local elements. Please also remember that the wind is a very vital element measurement in calculating the upcoming forecasts that we plan our daily lives around. The direction of the air currents, the speed of the breezes, and very often also the altitude of various upper air current patterns above the earth has large impact on our daily forecasts. The time of arrival when fronts intersect or collide will impact thousands of people daily around the world. How many times have we started a picnic or a baseball game only to have a storm pop up right in the middle of our planned event. This happens all of the time. This timing of when the weather will do what is forecast-is everything to us- but yet it is probably the one thing that messes up peoples’ days all the time. Many displays are great for the user because they provide, up to date air current speed readings, the last half hours peek breeze speed, the last 12 hours recorded wind speeds. They also will show you the direction the breeze is blowing from. The collected data from the stations that have computer software is invaluable in the study of your weather. When talking about anemometers the accuracy of this instrument is often questioned. It seems that with this instrument you often get what you paid for. Here is a list of the most important factors when buying a station with an anemometer or when buying one by itself. Some facts-they can be manufactured-as either a propeller type or a cup type of air current speed instrument. Both types are accurate but realize both types are susceptible to icing up in the winter. Look for black colored wind meters which have tendency to thaw out quicker than white or silver ones. Obviously the black will draw heat from the sunshine’s rays, thus they will thaw out quicker. White and silver colors will reflect the sun’s ray more than absorb them. Accuracy will depend on the wind cup sizes. Smaller cups will be spun easier by the breezes, the larger heavier metal cups will spin slower. It will take more air current/energy to get the cups moving when the cup is larger. Be aware of metal versus plastic for materials used to manufacture. We found that there is a difference in how the material reacts to the wind. The metal being heavier is much slower to react to lower wind speeds, but it is better and more accurate in the high wind velocities. Whereas the plastic is quicker to react to lower wind speeds, but many times it is not as accurate at the high wind velocities due to it’s lack of weight. This is to weighed up, when think about your decisions on which one to purchase. Consider if you are expecting more time with light winds or more time with windier days. Smaller wind cups are more responsive, because of the light weight and easier to react. Plastic is more responsive than metal, again as aforementioned this is due to the weight of the material more than anything. The smaller cup spokes are smaller so the cups are closer and more sensitive, especially to lower winds. Check out the size and the material that the shafts are made of. It will make a difference in how free and easy the cups will move and generate accurate wind speed. If you decide to purchase a station with an anemometer, we have laid out for you the reasons why you would need one. We have also talked of the things to be aware of when picking out the right equipment for what you would like to accomplish with this equipment. Knowing the wind speed can add to your day’s planning You must decide whether or not you can/or are willing to go the next step. Moving up to purchase a weather station could be a great decision for you. Stations that cover the air currents surely do cost more. There is more for you to care for as well. Does the cost outweigh the benefits for you? You will have to ask yourself that and come up with your own answer to that question. In this video students build an anemometer and calculate wind speed. 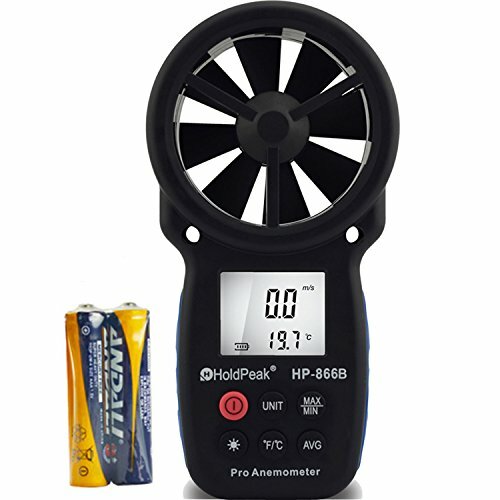 In this video we go a bit further and work on converting our figures to get the actual miles per hour and see how it compares to a digital anemometer.